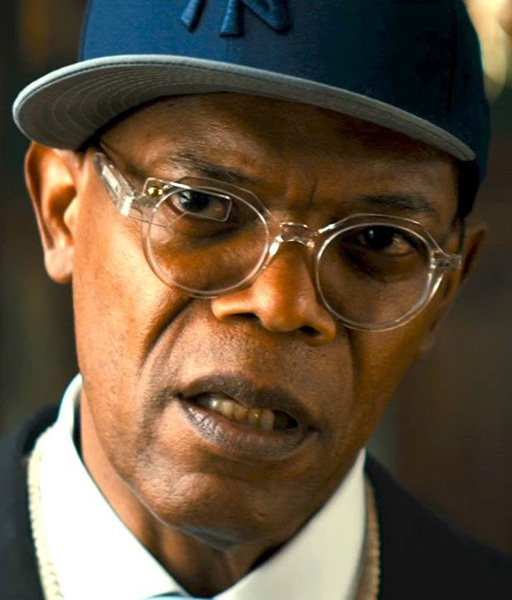 Samuel L. Jackson wears Cutler and Gross 0857 eyeglasses in Kingsman: The Secret Service (2015). The glasses in the film have an additional mirco projection screen, but the shape of the original Cutler and Gross frame is quite clear. The frame is transparent. This model glasses is now only available in other colors on the Cutler and Gross website. In the same film, the British spies wear Cutler and Gross sunglasses and eyeglasses.